Cafe, Bar, Park?! Where Are YOU Going For That Second Date? He’s clearly trying to keep things easy-breezy casual between the two of you. The fact that you’re on a second date with him tells you that he is, in fact, interested enough to take things further, but he’s not exactly looking at jumping into a relationship just yet! He is definitely looking to have a good time! He’s putting in effort and wants you to notice. He’s looking for just the right amount of conversation and flirting. So, let your hair down and go with it! A movie for a second date is always a safe option. If you two meet over a movie, the possibility of awkward silences goes down automatically! While you can figure out a lot about his personality by the kind of movie he chooses to watch, it also makes for a great topic of conversation afterwards. So, roll with it! He’s not in a rush to take things forward. He wants this date to be a fairly relaxed one with lots of conversation. He’s really keen on getting to know you and telling you about himself before moving ahead with things! He wants to have a night he will remember! And hopefully, you will too. While he may be interested in getting to know you, of course, he’s also looking to “live it up”! 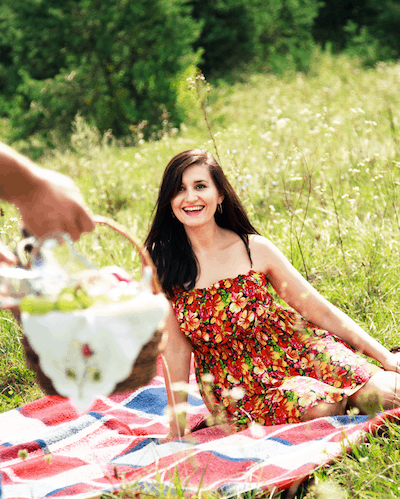 If he’s asking you out to a park for a nice, easy lunch or coffee date, he isn’t afraid to be alone with you, without being surrounded by any means of entertainment. He probably feels a connection with you and is just looking to spend some quality time! Since it’s only your second date, an at-home date is slightly away from the usual. If you both agree on staying away from the crowd, it’s a great idea! Not that we’re suggesting anything, but MAYBE, he just cannot wait to take things forward with you! Images: Giphy, Tumblr, Shutterstock * This post is brought to you in association with TrulyMadly. Download the app on Android or iPhone or Windows, and meet verified like-minded singles in your city.